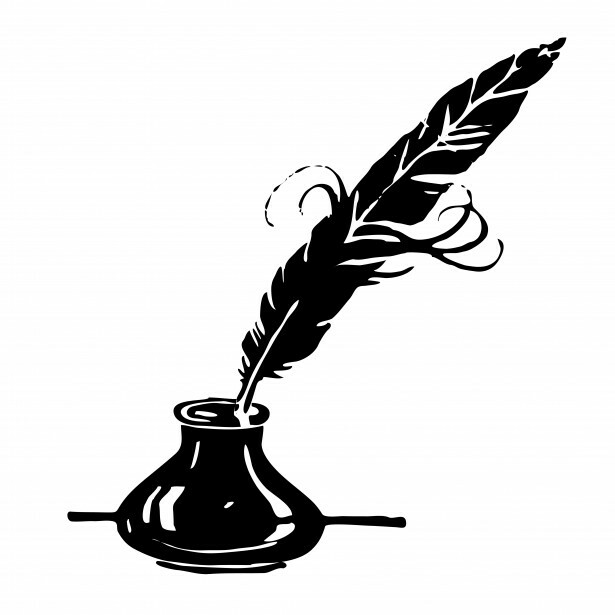 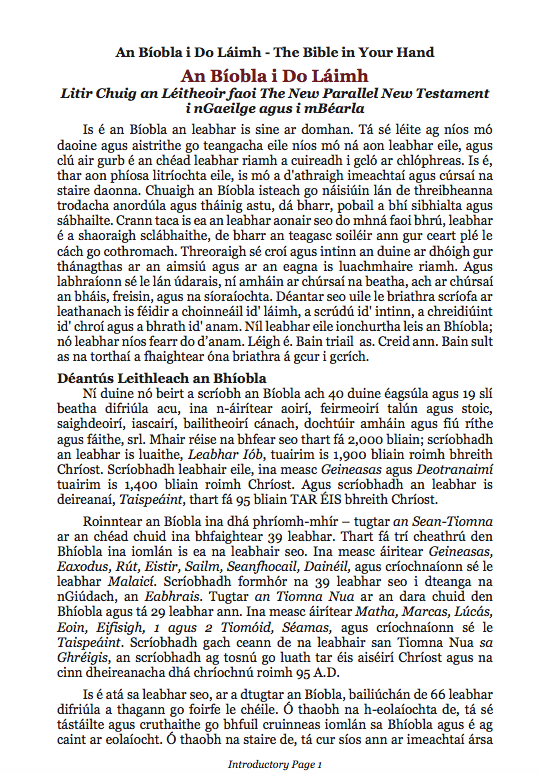 Achd fanuigh bríathar an Tíghearna go síorruidhe. 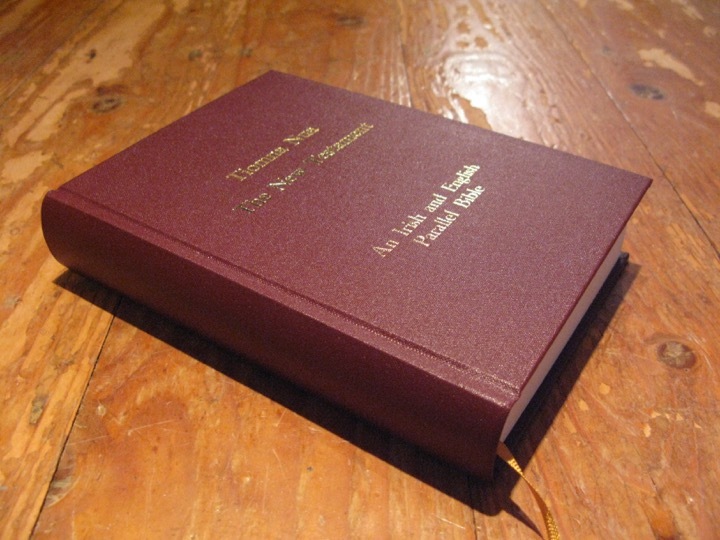 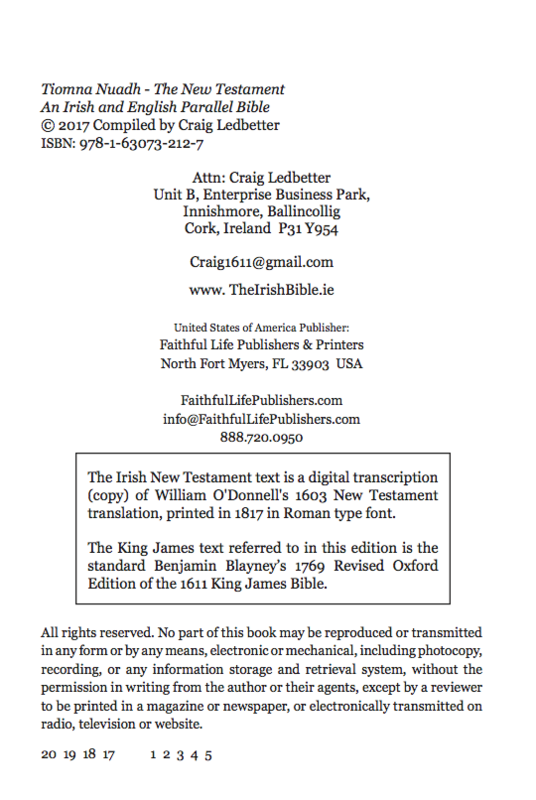 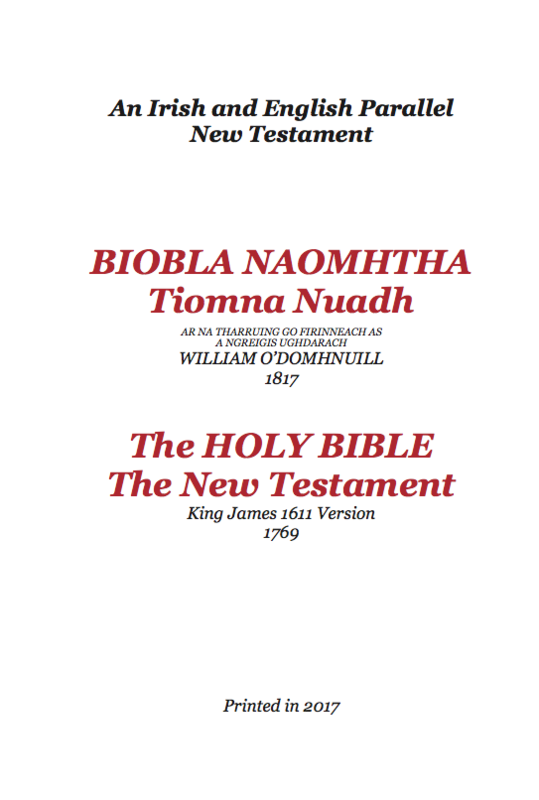 This is not a new translation, but a republished edition of the groundbreaking 1603 Irish Bible. 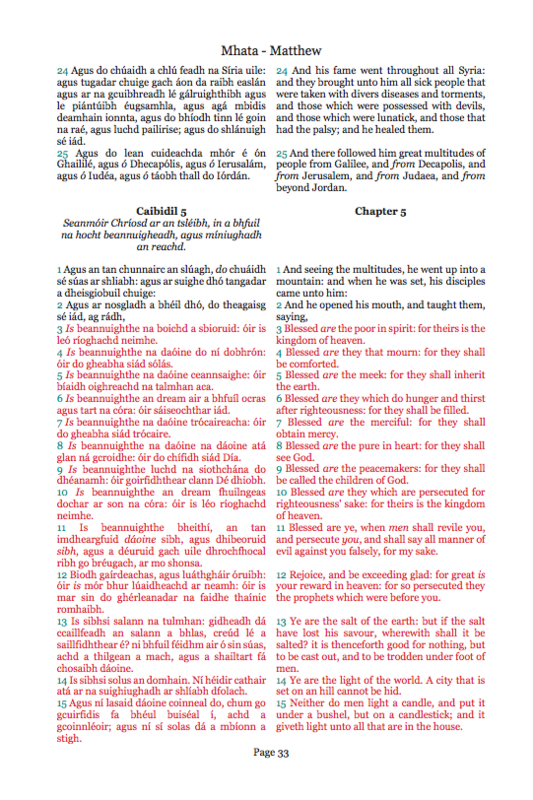 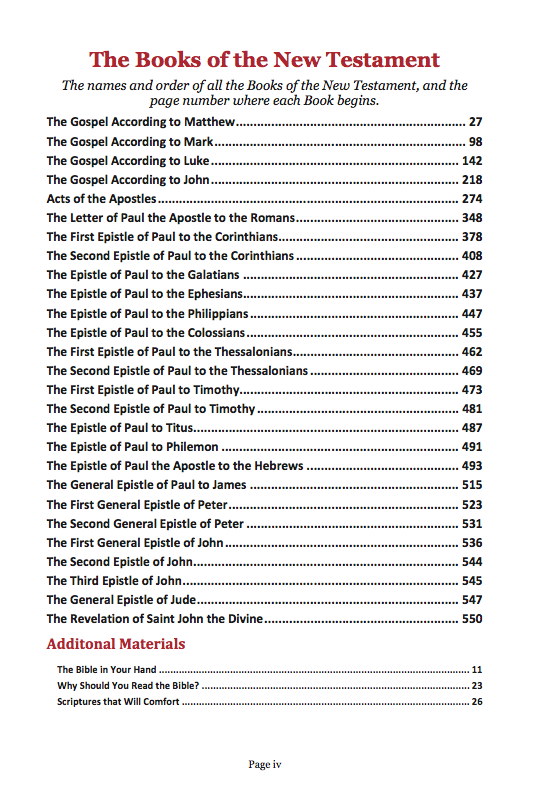 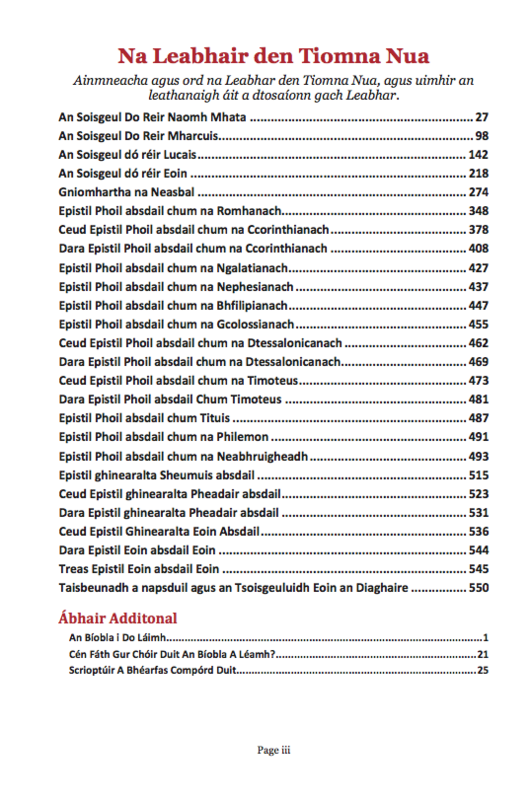 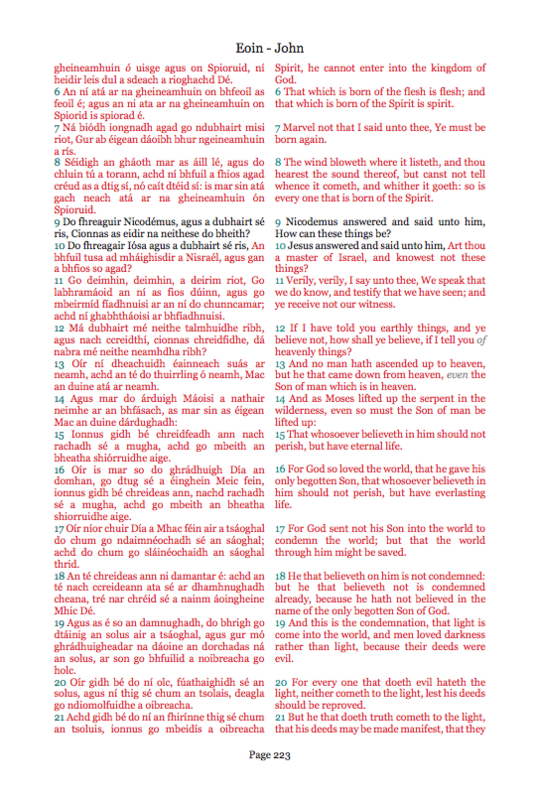 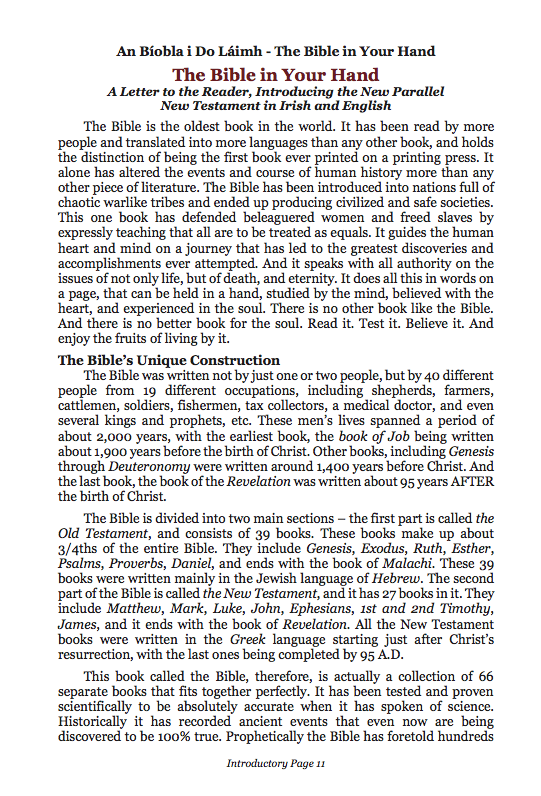 The entire New Testament with every Scripture verse in Irish, followed by the same verse in English. 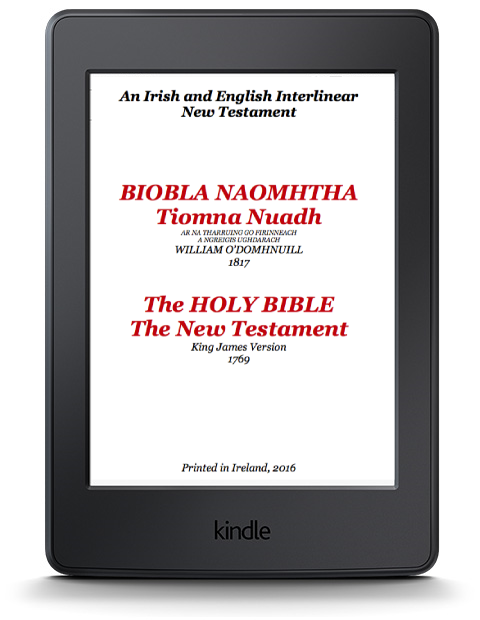 Buy it NOW and use it right away since it in Kindle Format!